Prime Minister Alexis Tsipras on Tuesday condemned the terrorist attack in Manchester in a post on Twitter, expressing solidarity with the British people and support to the relatives of the victims. Main opposition New Democracy leader Kyriakos Mitsotakis also condemned the attack. “Our thoughts and prayers are with them. Abhorrence and indignation,” he said. 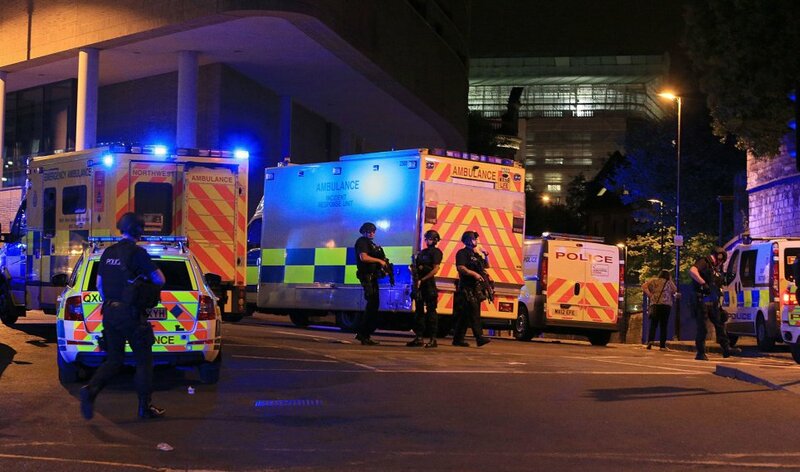 The Greek Foreign Ministry also condemned on Tuesday the terrorist attack in Manchester.“We unequivocally condemn the barbaric terrorist attack that was carried out last night at a concert arena in Manchester. We express our sincere condolences to the families of the victims and to the British people and their government,” it said in an announcement.